Frozen yogurt is a refreshing, tangy dessert that combines the flavors and textures of ice cream and sherbet. Frozen yogurt is a relative new-comer in the dessert market . As we have seen, a wide variety of yogurt service stores are flooding into the market in large quantities. 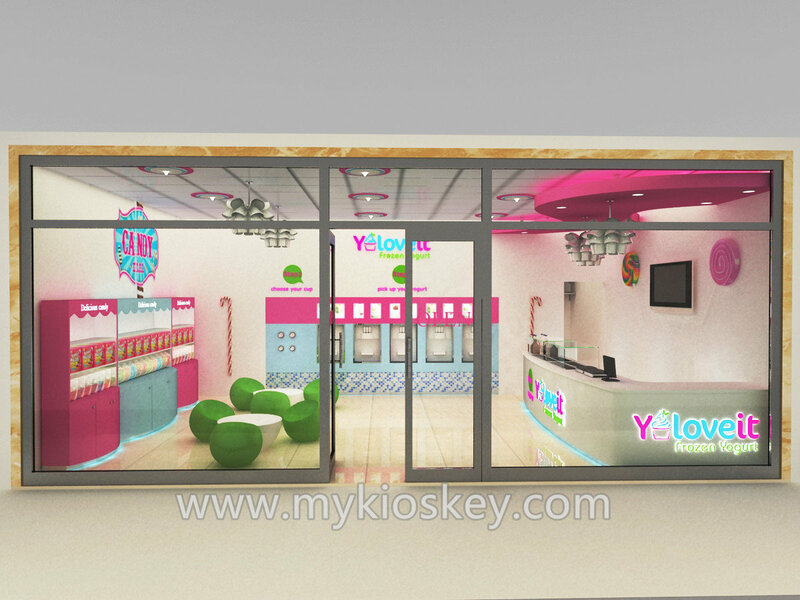 Many business opportunities that entrepreneurs see, can you wait to start your own yogurt shop? If yes, please take a few minutes to follow me for more steps . 1. Service positioning : Self-Serve or Full Service ? 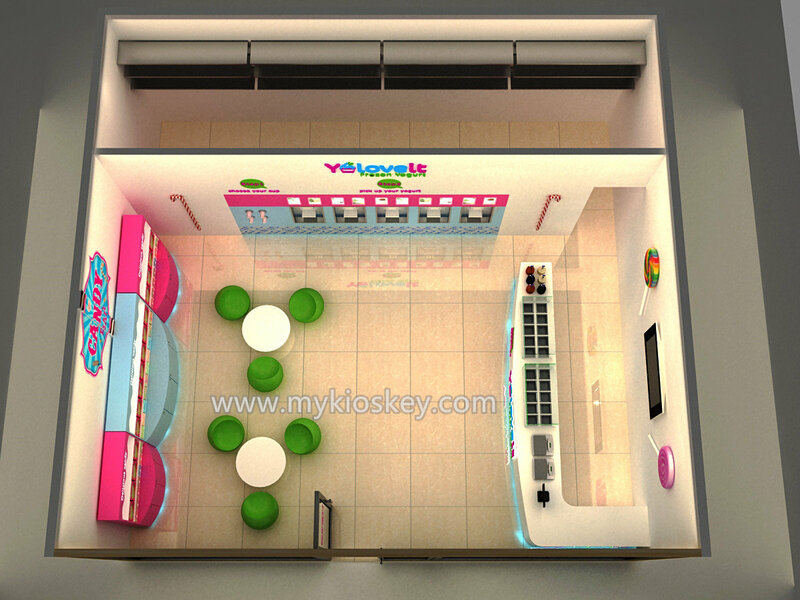 The vast majority of modern frozen yogurt shops are self-serve, which customers seem to prefer because they can control their portion sizes (frozen yogurt is supposed to be a healthy alternative, after all) and get as creative as they’d like with flavors and toppings . 2. Location and size choose . If you want your yogurt to sell well, it is necessary to choose a bustling location. You must ensure that the location is prosperous and has ample traffic. 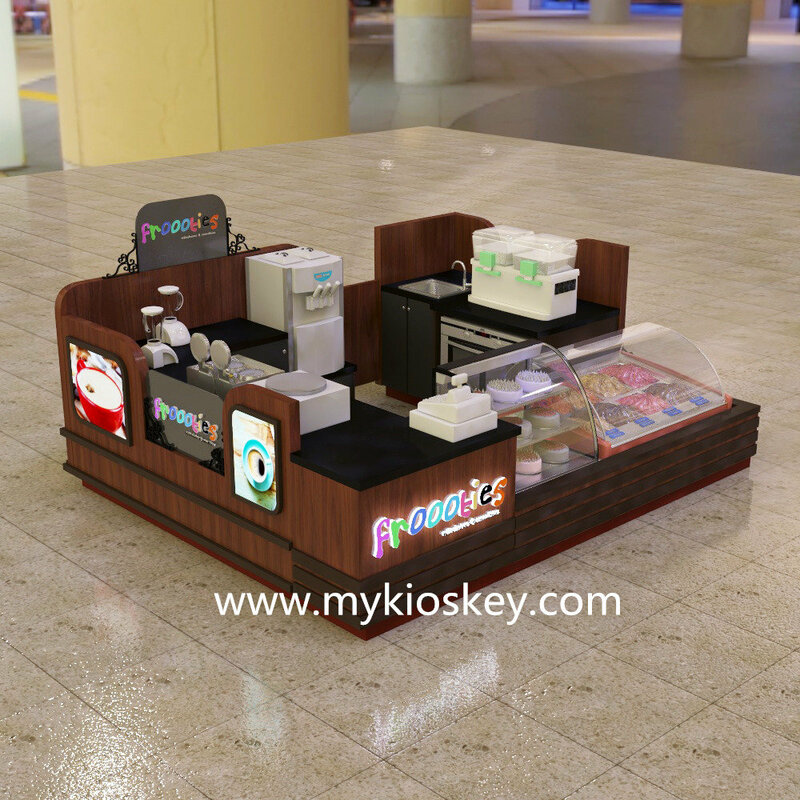 If you are an entrepreneur, you can choose to use kiosk to do business, it should not need to spend too much money to run. 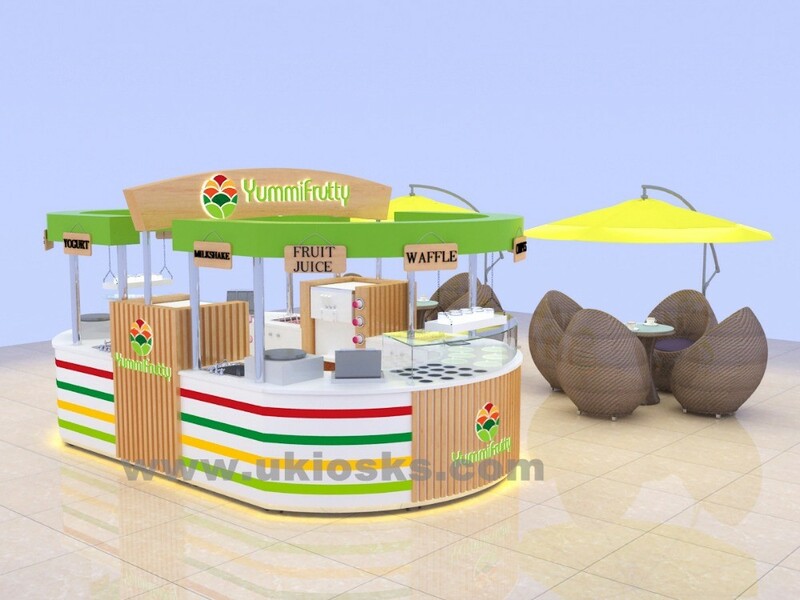 As with most dessert counter, yogurt cabinets generally choose brighter and brighter colors. such as , white , pink , green , blue , rosy , yellow and more . of course match some wood grain decoration will looks very nice . Thanks for your time and reading , if you plan start your own mall food shops or interested more details about this ,Please do not hesitate to contact us at any time, we will serve you wholeheartedly, your satisfaction is our greatest motivation. welcome inquiry .